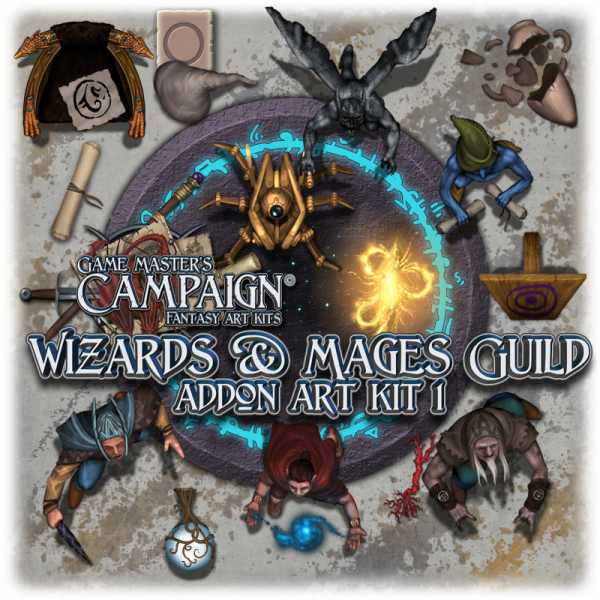 Wizards & Mages guild addon art kit brings magic items, spellcasters, new tilesets and more. This addon art kit can be used with the other art kits or all by itself. This purchase is for a digital download of several images, approximate size is 494 Mb in 3 zipped files.